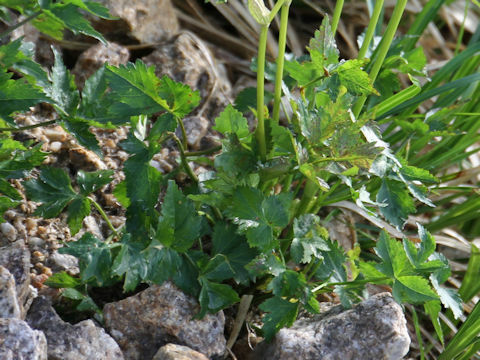 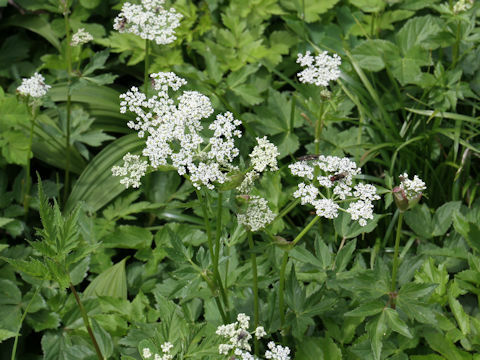 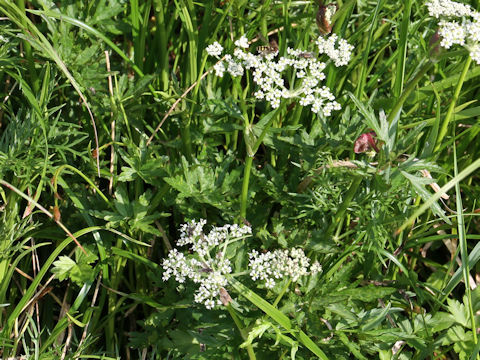 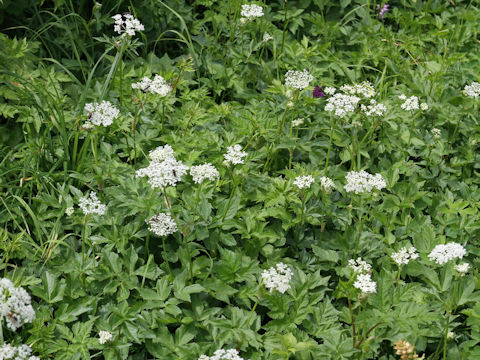 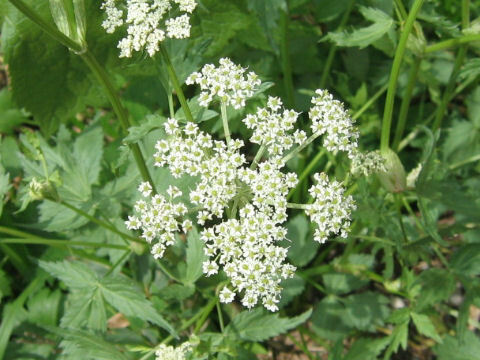 "Hakusan-boufuu" (Peucedanum multivittatum) belongs to the Apiaceae (the Carrot family). 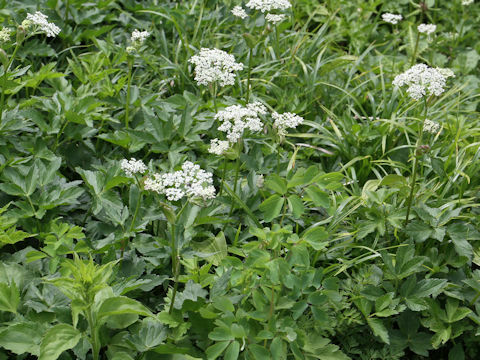 It is a perennial herb that is endemic to Japan, and distributed from Chubu district of Honshu north to Hokkaido and the southern Kuril Islands. 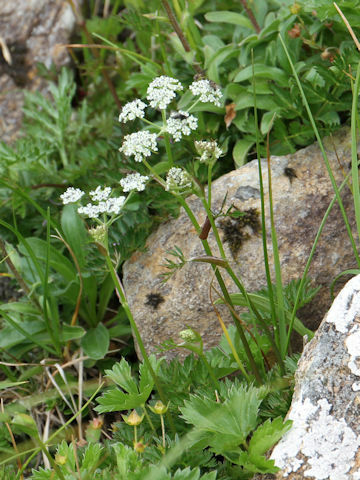 This herb grows in sub-alpine to alpine, open grasslands, and can reach 10-50 cm in height. 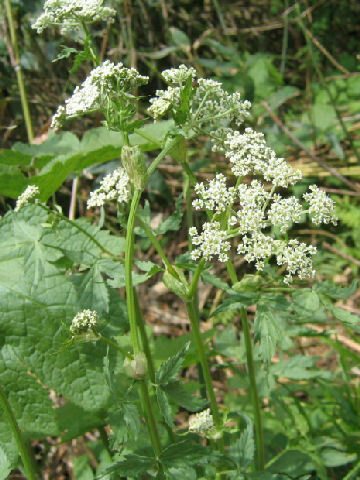 The stems are mid-air and branched at the upper parts. 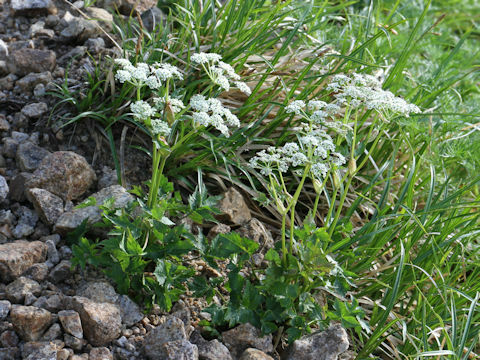 The basal leaves are quatri-pinnnate or quinquies-pinnate compound with coarsely serrated leaflets. 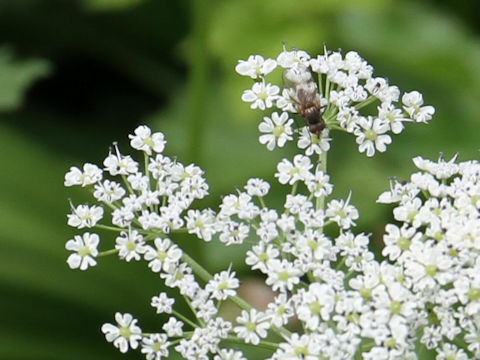 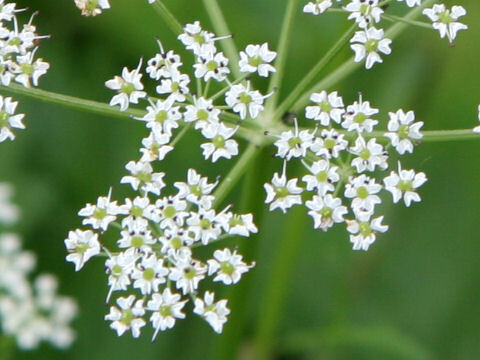 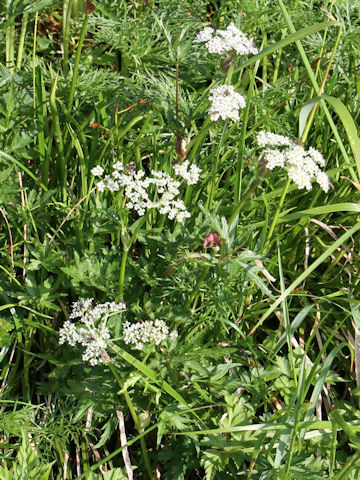 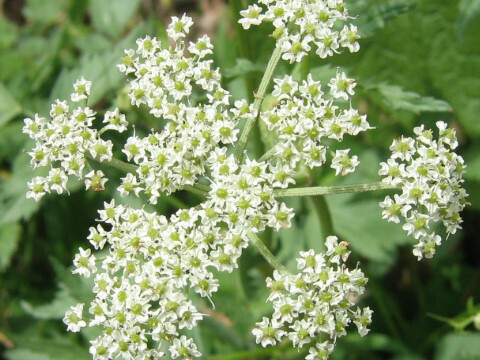 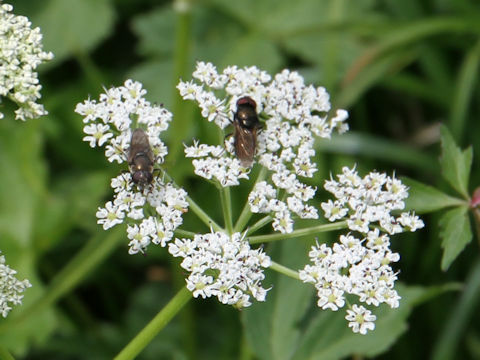 The compound umbels are borne atop of stems and terminal branches, and bloom white flowers from July to August. 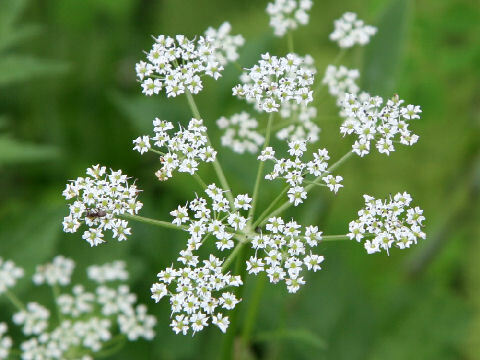 The roots are great favorite of bears.